YJ YouGrids - once functional template developers YouJoomla, who works on the new freymovrke studio. Stylish design layout, designed in warm colors, perfect for creating a stylish business site with a huge set of features. In the installation package includes the best clubs extensions that give the pattern a special set of tools to organize information on the site. Integrated support for component K2 is able to provide flexible publishing materials. This template is perfectly optimized, supports all browsers and works correctly on all mobile platforms. 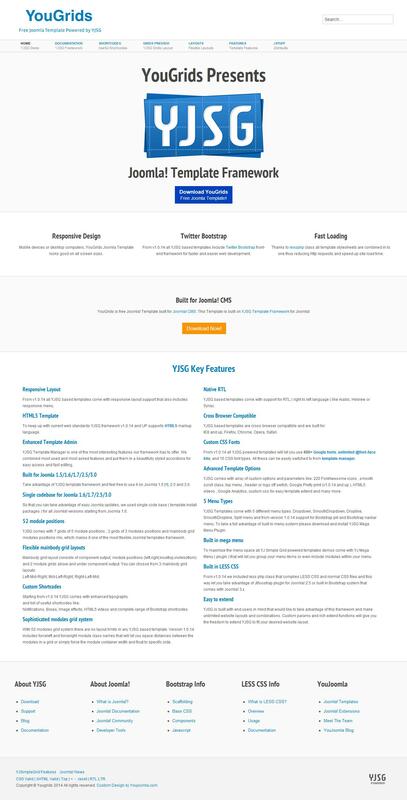 YJ YouGrids is an excellent choice for creating modern and high-quality websites.